In just ten months, the World Health Organisation (WHO) has reported more than 41,000 cases among EU member states as a whole, which led to 40 deaths. The WHO also noted the spike in cases, and fatalities, is higher than any other figure reported throughout a 12-month period so far this decade. The total of cases reported is almost double compared to the last year’s recorded number of measures cases in Europe, which reached 23,927. Countries such as France, Greece, Italy and Ukraine have seen over 1,000 infections this year as well as nations such as Serbia and Georgia. From the period of September 2017 to August 2018, Ukraine was the worst affected country by far with 32,618 measles cases recorded. Serbia came second with 5,710 while Russia was third with 3,940. 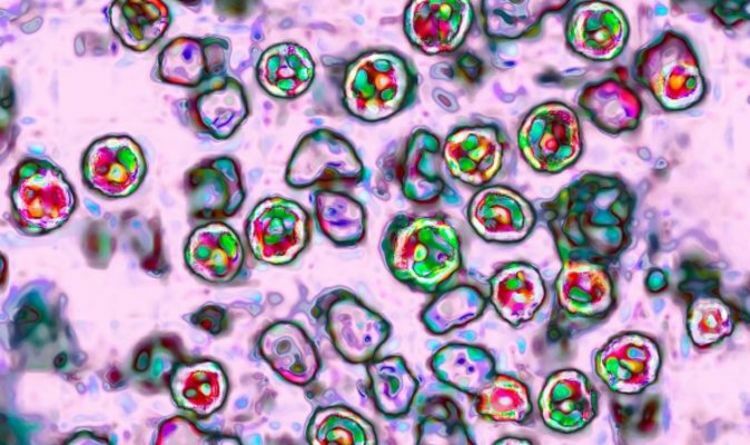 Following news of the resurgence of measles in Europe, Dr Ranj Singh issued his advice on the MMR vaccine, which also prevents mumps an rubella, but which has also prompted questions over whether or not it is safe. He said: “Not getting the MMR vaccine can have severe consequences. Measles can lead to pneumonia, you can end up in hospital, and you can die from it. A past study – now disregarded – linked the MMR vaccine to autism causing many parents to decide against getting their children immunised. Measles is a highly infectious virus and is airborne. Symptoms develop between 10 and 12 days after a person is exposed to an infected patient and can last between seven and 10 days. These include a fever greater than 40C, a cough, runny noise and inflamed eyes as well as small white spots that can on occasion form inside the mouth. The infamous red, flat rash which usually starts on the face and then spreads to the rest of the body typically begins three to five days after the start of symptoms. In 30 percent of cases patients experience diarrhea, blindness, inflammation of the brain and pneumonia. The measles vaccine was founded in 1963. In October 2015, a measles outbreak in Berlin, Germany, resulted in at least 782 cases. In the past five years the UK was one of five European nations that recorded the most cases as well as Germany, Italy, Romania and Holland. Since then, cases reported in Britain have dropped. Goosebumps 2: Haunted Halloween age rating: How old do children have to be to watch?